A lot of restoration firms have their roots in the cleaning business. As such, they are called in to clean up biohazards with regularity. Ebola decontamination cleanups were in the press a few months ago, but much more common biohazard cleaning jobs involve Category 3 water, the maintenance of hot tubs in hotels, food processing and restaurant facilities, schools, health care facilities, mold remediation jobs and trauma scene cleanup, just to name a few examples where disinfectants are used. All of these cleaning projects have a couple common risk management characteristics. First, it is important to have trained personnel perform the work. Second, it is important to get your insurance coverage straightened out if you are going to work with disinfectants. Dan Benazzani’s article in the January edition of R&R magazine, “Truths, Myths and Liability of Misusing Disinfectants” did a good job of clarifying the proper use of disinfectants. This article provides advice on how to manage the risks of disinfectants. Many firms have much better information available to them on how to clean biohazards than they do on how to get their insurance straight for working with disinfectants. Most firms rely on their insurance agent to help them through the business insurance maze. Here is the problem – there are no classes or books for insurance agents to learn how to insure the biohazards in their customer base, which explains the extraordinarily high fundamental insurance coverage defect rate on firms conducting biohazard cleaning work. 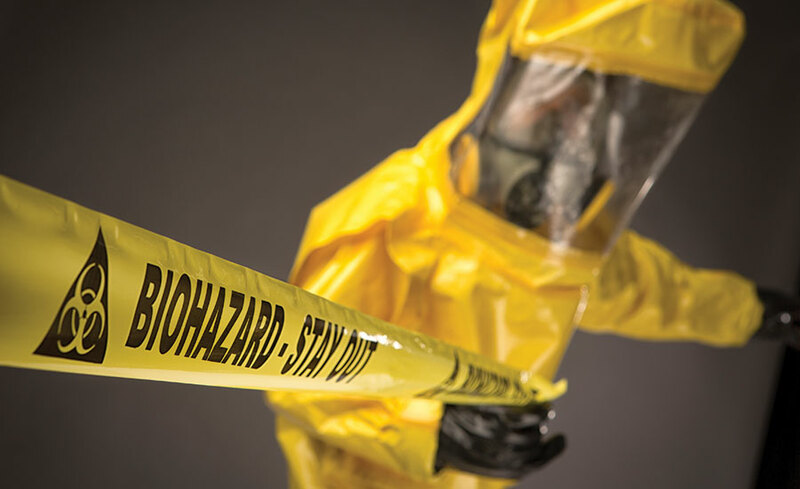 In this article, I will provide some simple tips for you to use to figure out on your own if you have insurance coverage issues for biohazard work and how to close those insurance coverage gaps if you do.